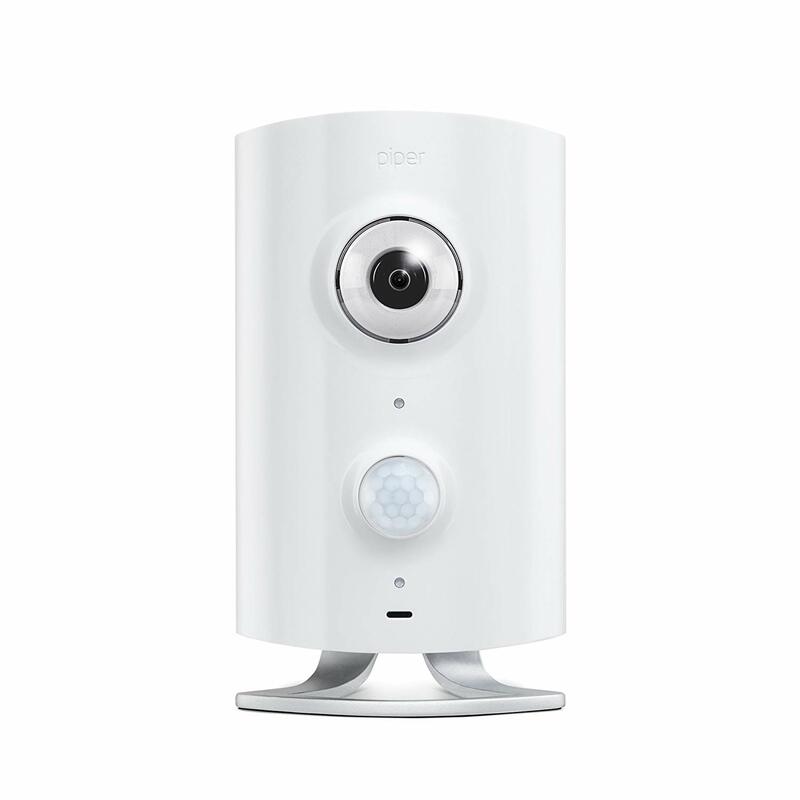 For those interested in a home security system that's compact, uncomplicated, and user-friendly, Piper offers a great choice. This home security system is perfect for people who have been left out by the traditional security market and works great for apartments, dorm rooms, and many other smaller spaces. Piper's camera provides amazing home security features without sacrificing function or quality. This all-in-one system is affordable, compact, and super simple to use. And with Z-wave compatibility and an easy to use app, it also provides home automation and video monitoring capabilities so that you can take even more control of your home at the click of a button. Affordability - Aside from the relatively small upfront costs for your equipment, Piper doesn't have any monthly fees, making this a great choice for budget-conscious homes. Ease of use - Getting started is simple. Just unpack, plug in, and download the app for Android and iOS. Portability - Piper home security systems are small and incredibly lightweight, making this system super portable and great for smaller spaces like dorm rooms, apartments and the office. Adaptability - Piper offers the perfect solution for uses like an office alarm, baby monitor, and even as an interactive way to check in on your pets while you are away. Home automation - Perhaps one of the biggest benefits of the Piper security cameras is the home automation compatibility. Piper systems can be enabled to operate other areas of your smart home like window and door sensors, temperature, lighting operation, and flood sensors. If your alarm is triggered for any reason, the Piper system will alert you through text, email, or a phone call. You can also choose to have a pre-set list of additional contacts that are alerted when your system is triggered. 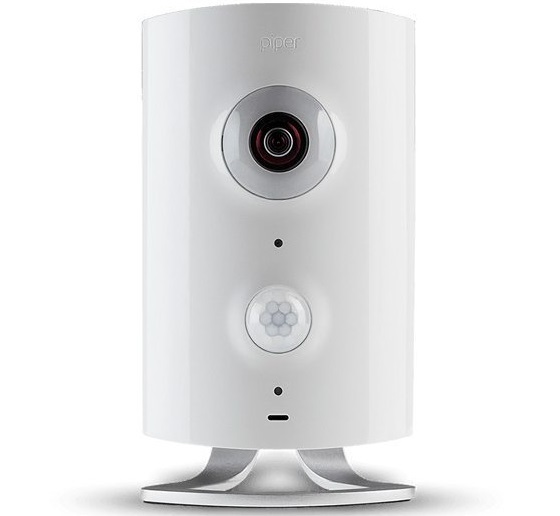 The Piper camera is a self-monitored system with a distinctive, modern design that can either be mounted on the wall, ceiling or sit on a flat surface. This camera is designed to pan, tilt and zoom, and it also gives you the ability to view a larger area of your home with clarity and ease. Featuring a fisheye lens, Piper camera has the ability to see from floor to ceiling and wall to wall. You can choose to view your cameras with a quad view, which gives you four separate views. Piper cameras offer programmable options for the ultimate in personalization too. This home security system can be pre-programmed to record certain events while you are away. For example, you can receive an alert with a recording of footage when motion or a loud noise is detected, or even when a door or window is opened. It's important to note that the Piper home security system is a self-monitored system. This means that in the event of an alarm, you will not have automatic first responder notification. In the event of an emergency, only you will be alerted, which means you will need to contact the appropriate emergency responders on your own. With the Piper home security system, however, you save on monthly monitoring costs. If you have multiple rooms you want to monitor, Piper's app has the capability to support up to 5 different cameras. Additional cameras will come at an additional cost. Overall, Piper home security is a great choice for use as home security for apartments, at the office, dorm rooms and more. Piper cameras allow you to set the rules, giving you a system that does what you want it to do. The cameras are easy to set up, incredibly user-friendly, and look great no matter where they are. As one of the newer systems on the market, Piper home security systems and cameras have certainly made a name for themselves. If you are looking for an affordable home security system for your small space with superior design and flexibility, Piper should certainly be considered!